Many of us will know Blue Monday as the ‘most depressing day of the year’, and whilst January often feels like it lasts for around 951 days, we are relishing in the Blue Monday vibes. There is something about brightly coloured flooring that adds an element of fun and personality into a space, and that really cheers us up. We find blue flooring to be bold, bright and far from depressing! 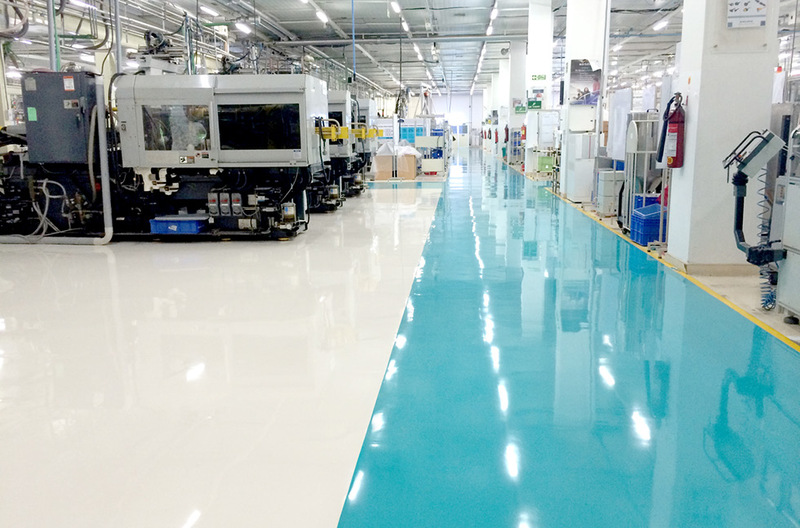 So why not join us in celebrating some fantastic blue flooring installations from around the world? Take a look at our top 8. 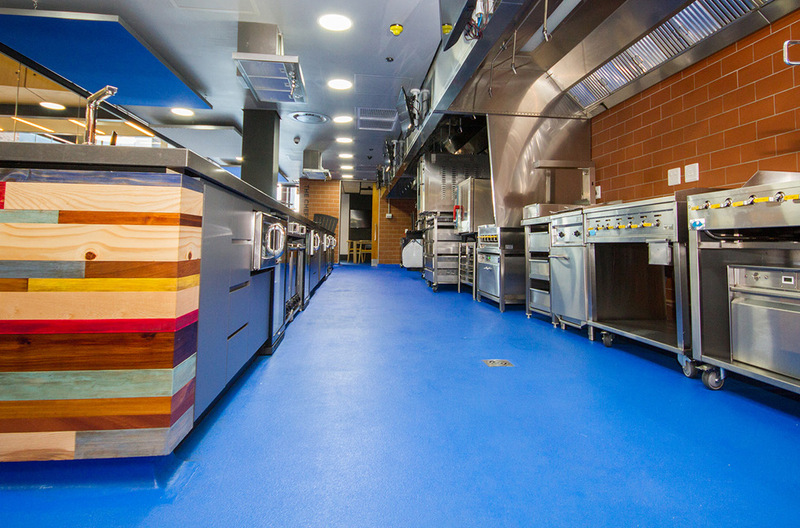 A bespoke blue polyurethane system was used in this food and beverage facility to meet both the aesthetic and operational demands of the site. 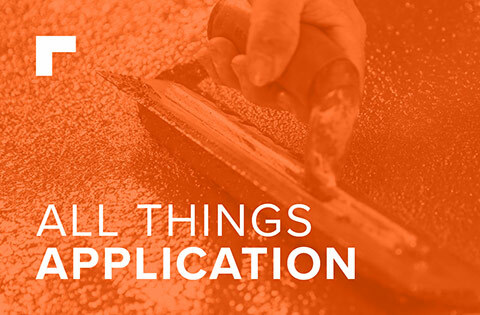 This manufacturing site required a high performance resin coating that could withstand industrial challenges such as impacts, exposure to industrial substances and frequent cleaning. The light blue finish was chosen thanks to its eye-catching and contemporary aesthetic. 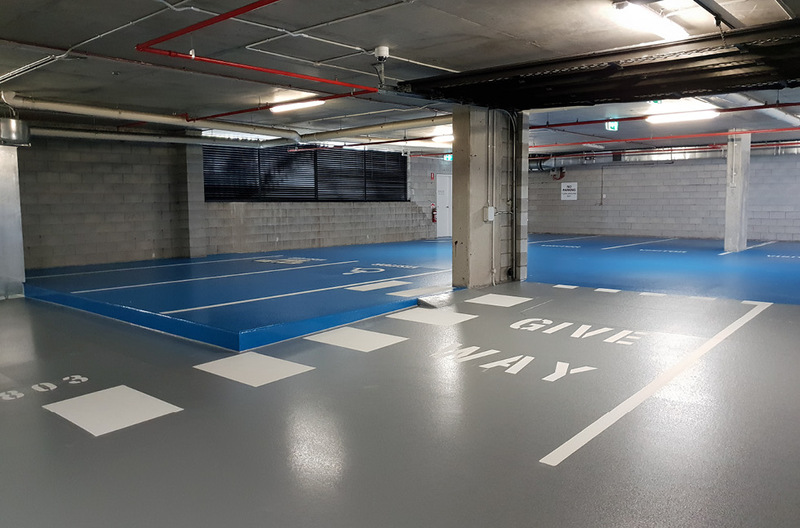 Using colour and demarcation in car parks helps to keep a space safe by clearly differentiating walkways, parking bays and highlighting the direction of the traffic. Here, the colour blue signifies parking bays specifically for visitors to the Dornoch Terrace apartments. 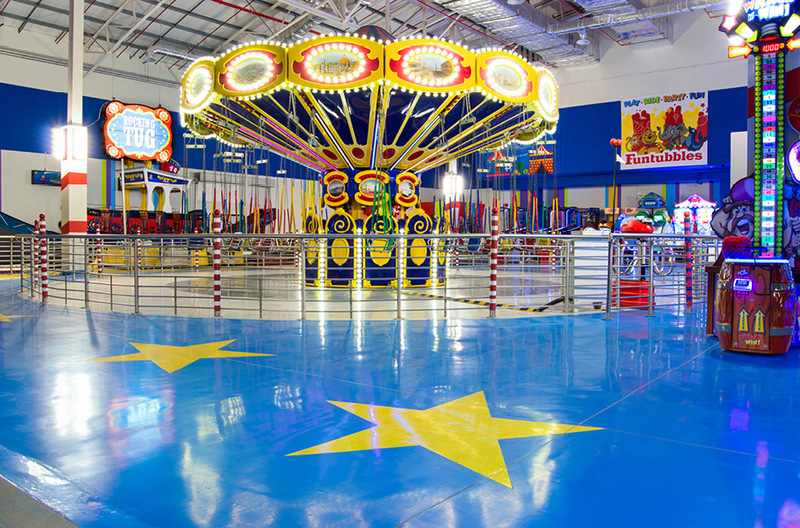 This bright blue and yellow flooring, complete with a star design was installed in this children’s play area in South Africa. A seamless and abrasion resistant floor finish was required that could also fill the venue with light, colour and shapes to reflect Mr Funtubbles’ happy and bright image, whilst helping to keep the children safe whilst they play! 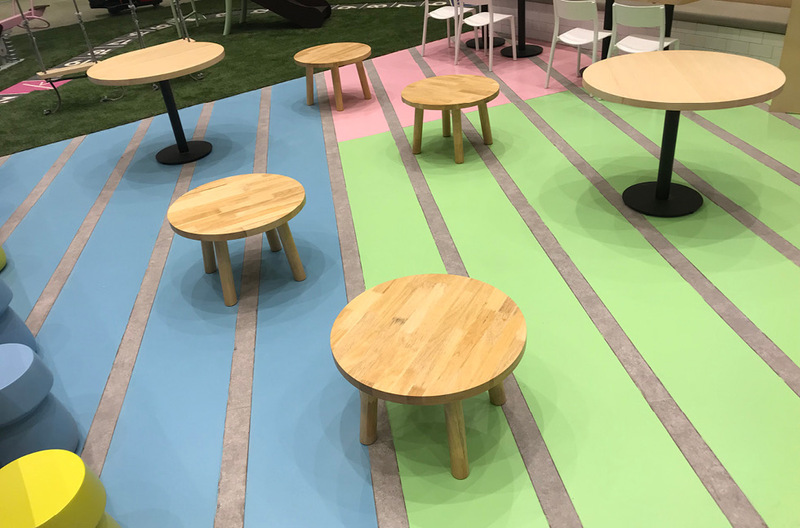 In a similar way to Mr Funtubbles, this family friendly shopping centre in Malaysia required a colourful and fun flooring for its indoor play zone and polyurethane in bright pink, green and blue was chosen. This flooring was installed in stripes, generating an interesting visual and safe area for playing children. 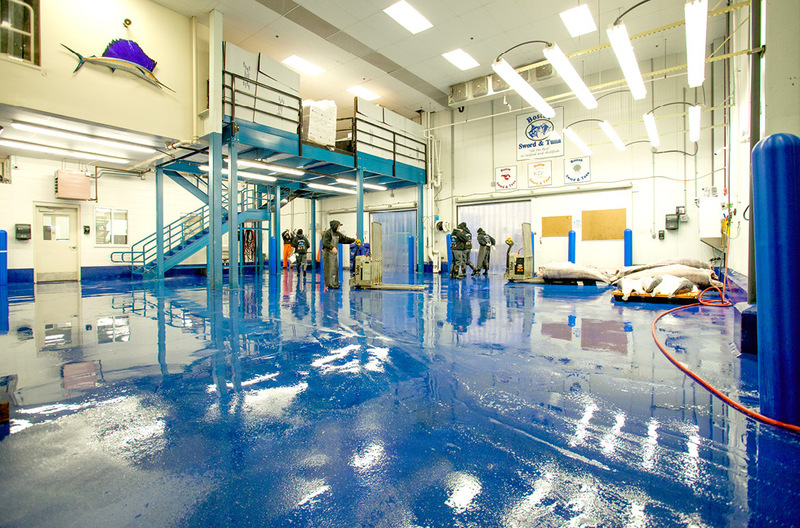 The old concrete floor in this seafood processing facility needed a fresh refurbishment, and an antibacterial polyurethane system in bright blue was chosen for this. Using a single bold colour here helped to highlight dropped or spilled items, whilst maintaining a bright and fresh visual. 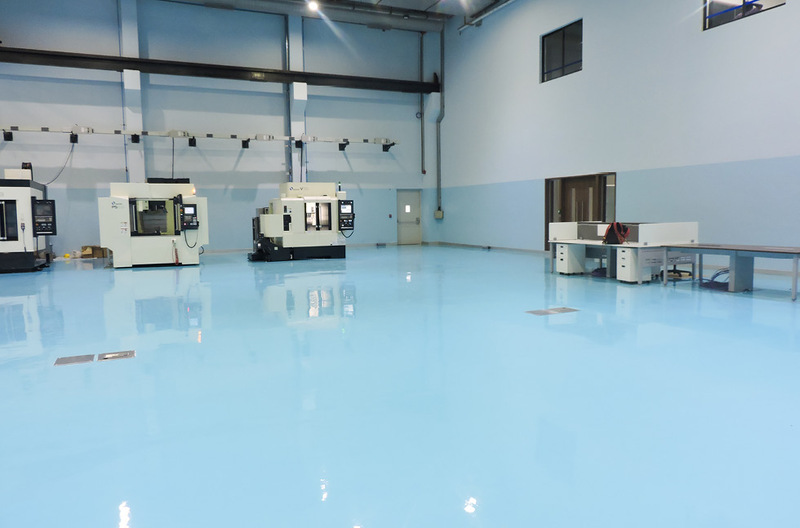 In this manufacturing facility, a bright blue high-gloss epoxy resin system has been used to highlight a walkway throughout the facility. 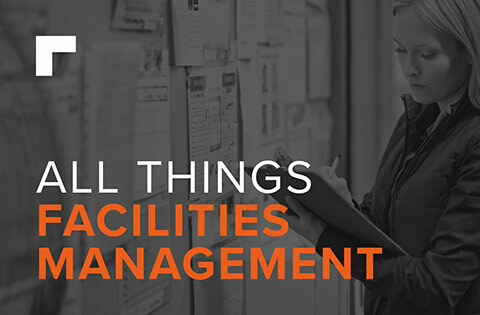 Whilst looking visually attractive, having a clear walkway of this nature can help to keep staff and visitors safe, by separating walkways from areas of potentially dangerous moving machinery. To finish with a bang, we have chosen one of our favourite blue floors! 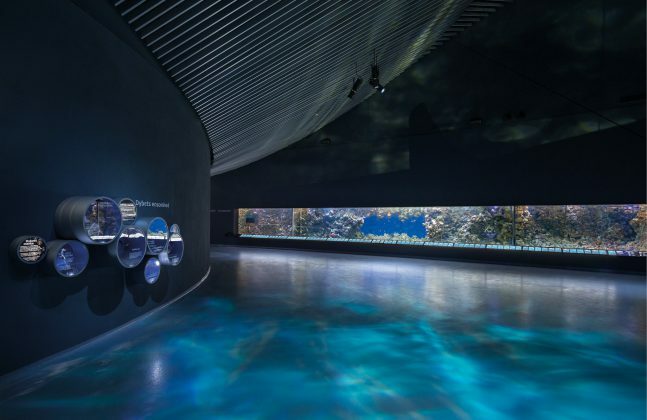 This unique flooring solution was installed at Blue Planet aquarium in Denmark, and was designed to make visitors feel immersed in the marine environment. 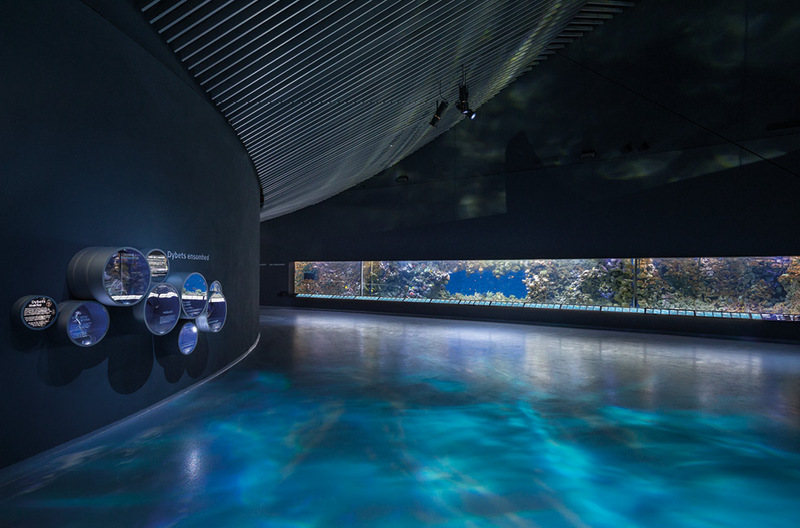 A key part of this illusion was the swirling, watery lights cast onto the floor of the aquarium’s viewing areas. In order to create this, a smooth, light reflective surface was required, and this was achieved with a seamless epoxy resin coating! So there we have it. 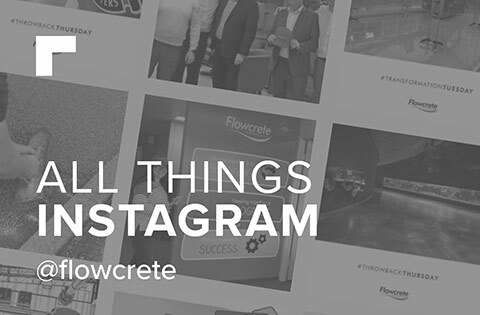 We hope that us sharing some of our favourite flooring installations have made you feel less blue this Monday. 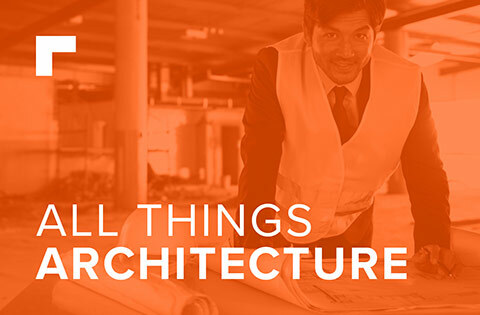 If you’d like any further information on any of the above projects, please get in touch with us – we’d be happy to help.